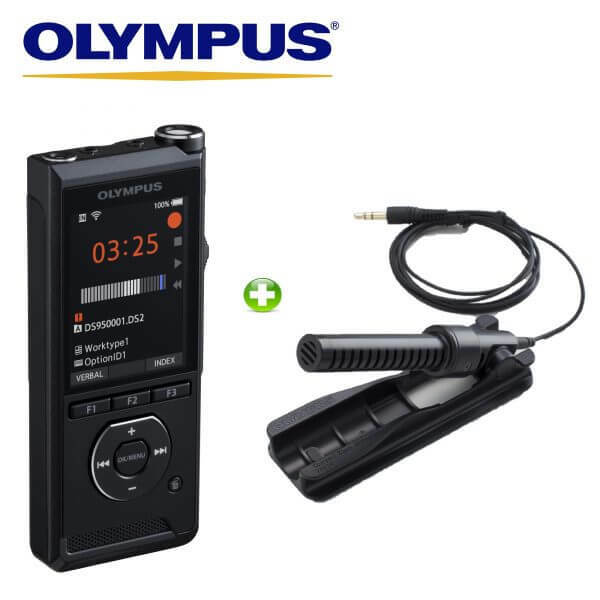 A bundle with a difference – Olympus’ exceptionally functional, highly-recommended and very reasonably priced ME-34 Compact Zoom Microphone paired with the Olympus DS-9500 digital voice recorder. 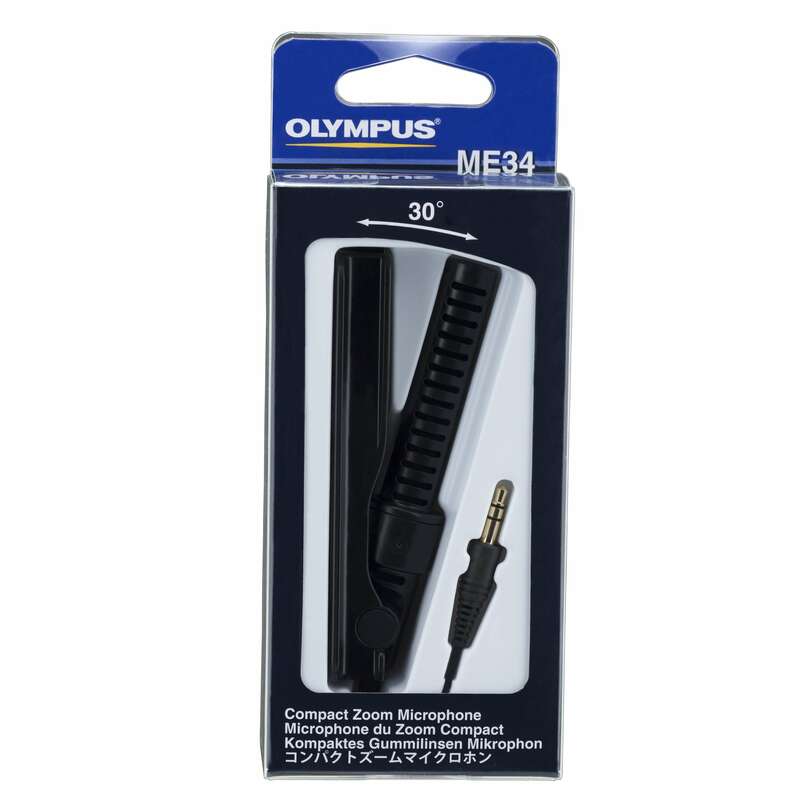 This bundle is great for recording lectures or keynote speakers at a conference as the ME34 microphone reduces extraneous noise from nearby sound sources, such as people moving chairs, rustling paper, coughing or whispering. 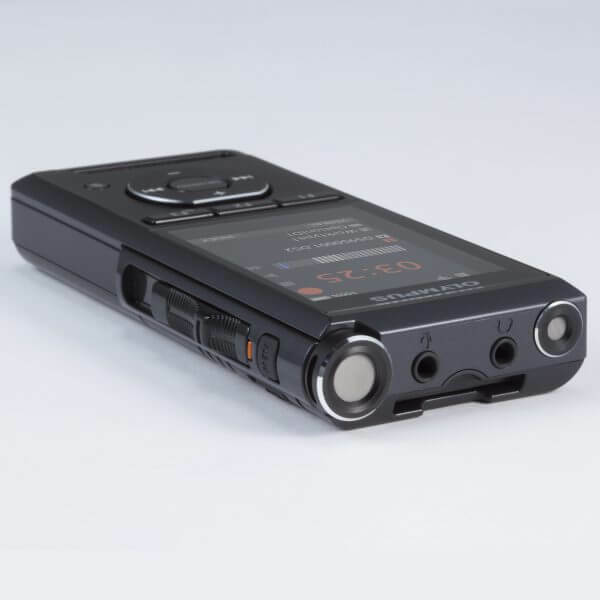 This means your recording is true to intent – you get a great recording of your keynote speaker without the distraction of surrounding audio interference from attendees. 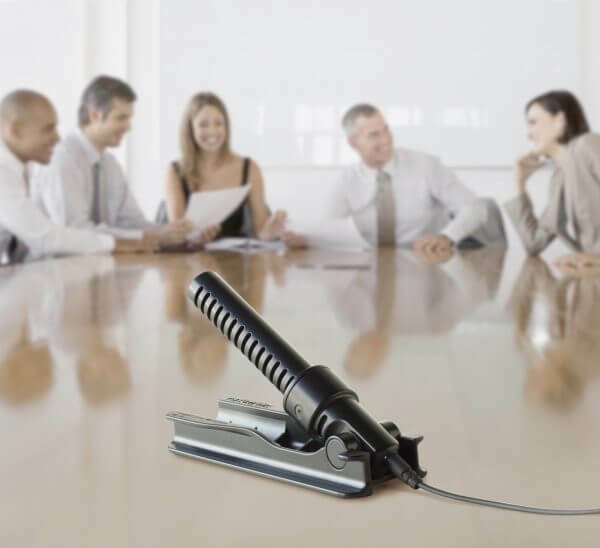 With a small, lightweight and compact design, this unidirectional mic is ideal for mobile lectures and recording small meetings. 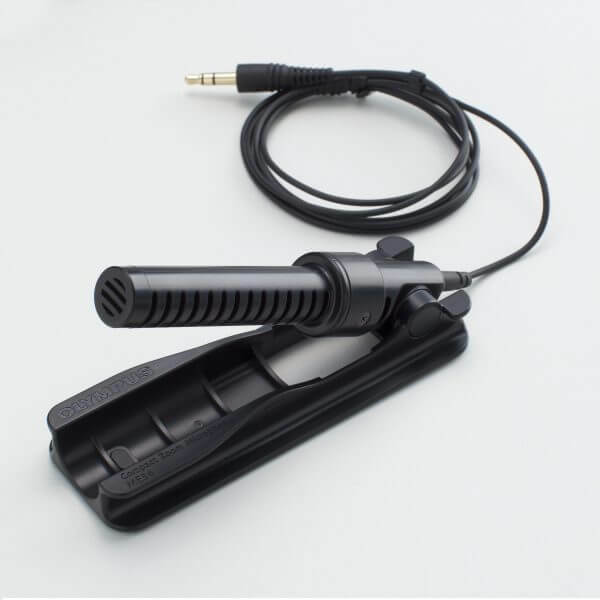 It’s microphone cord can neatly wrap around the microphone stand for secure transport and storage. The DS-9500‘s Intelligent Dual Microphone System enhances speech recognition accuracy. The low noise omni-directional microphones, Shock Resistant Mounting and the Triple-Layer Pop-Filter combine to achieve clearer voice and lower background noise. 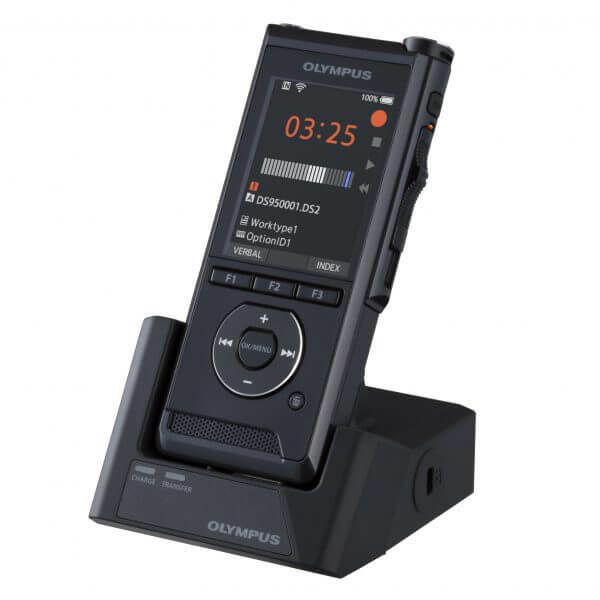 The DS-9500 has built-in Wi-Fi technology, allowing the user to share dictations from anywhere and send the dictations immediately to the transcriptionist, without the need for a USB cable, docking station, or computer. Record that important conference or lecture with the best recording equipment – Olympus DS-9500 + ME-34 compact zoom microphone, available as a bundle from Pacific Transcription.